Prime residential prices in Dubai are less than a fifth those found in the world’s most expensive property market, according to a new report. 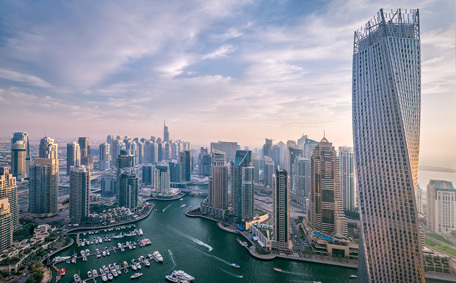 New World Wealth’s Global Wealth Migration Review showed that top-end real estate in Dubai costs about $8,400 per square metre, a rise of $200 compared to last year. That was nearly $2,000 per sq m more expensive than property in neighbouring Abu Dhabi, the report for the third quarter of 2017 said. However, it was cheap compared to the $48,000 per sq m price tag found in Monaco in the south of France. That topped the global list, ahead of New York ($37,000), London ($35,000) and St Tropez ($33,000). There was no Gulf representation in the global top 30 most expensive cities, according to New World Wealth. “Notably, prices in New York, Sydney, Beijing and Shanghai all rose strongly over the past 12 months, whilst prices in London, Paris and Rome are all down,” the report said.